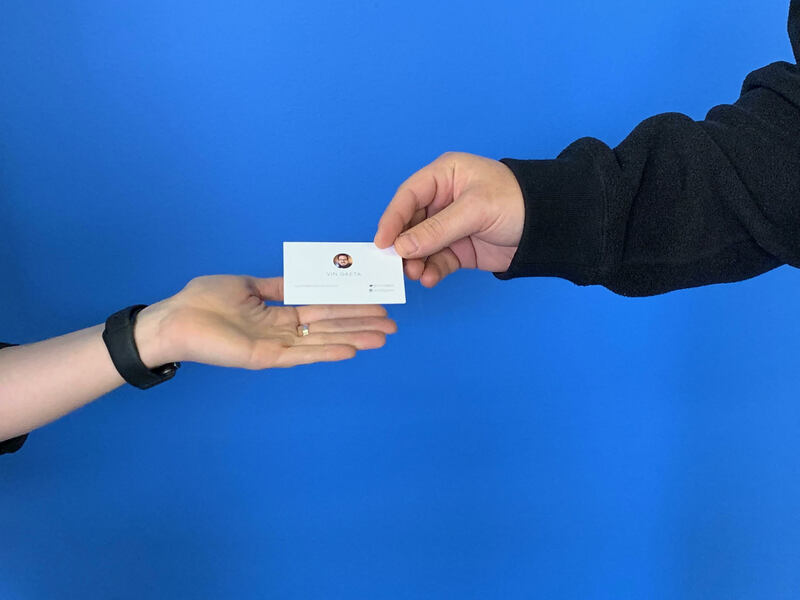 On Wednesday, December 12, HubSpot made an update to their mobile app that collects business cards right into the CRM. Alright, I get it… the concept of collecting business cards digitally is, of course, valuable (no one wants to walk around with pockets full of business cards they’re inevitably going to lose), but, beyond the obvious, there are some immediate metrics that you can impact as well, and get buy-in from the sales team. The HubSpot mobile app has been available for a few years now, but its most recent update in 2016 combined Sales, CRM, and Marketing all into one. While not every tool from HubSpot is available on the app, the features that are available are intended to locate contact info easily and allow for quick views of performance that allowed you to keep a finger on the pulse of your marketing even on-the-go. Though a simple update, this feature could have a big impact on your bottom line by enabling the sales team to make stronger connections and sales quicker, but first, let’s cover how the scanner works. This new feature is available right in the existing app and can be downloaded in the iOS App Store or Google Play Store. If you have the app already and recently updated it, the feature is available to you right now. Under the ‘contacts’ navigation menu, you can access the business card scanner by simply clicking the plus button in the upper right-hand corner, and clicking the option scan business card when it appears on the screen. After that, the app will just need access to your camera (only when using the app) to scan the card. The tool immediately opens a new contact record in the app with the information from the card, which you can modify or save immediately. The whole process takes less than 15 seconds to open and scan right into the CRM. Yes, we know it’ll cut down time to saving the info on the card, but this is taking it one step further. That information is going directly into the system where all of your other contacts live - the same spot that your sales team is making notes, sending messages, tracking information. There is no extra step after the scan to get them in here (like there might be if you were to use some other app). Why would you be able to take better notes? Well, right after scanning the card, you can transition into making notes on what was discussed and what next steps could be. If better notes are recorded, the next result would be a better follow-up process for these new contacts. If there are clear notes and even tasks in HubSpot for follow up, your sales team has a better idea of what they need to do and when. At conferences, everyone’s trying to get new people to their booth and it’s common to host a contest or giveaway to help with this. Some of you may have used a landing page to collect information and enter them into the contest… which is ok, because it’s fairly easy to set up and everyone knows what to do when they get to the computer or iPad. However, imagine how much better someone’s experience could be with your company if you saved them even more time by simply scanning their business card right into the app. Not only will it reduce the friction of entering, but you can take that extra time they would have spent inputting information into a conversation instead. To put it simply, this isn’t a throwaway feature update from HubSpot. Yes, on the surface business card scanning doesn’t sound ground-breaking. However, thanks to its thoughtful integration with the HubSpot Sales Hub, the scanner will empower sales teams to spend less time on tedious admin tasks and more time on the activities that help them close deals faster after meeting someone. What other ways are you planning on using the scanner? Let us know in Elite!